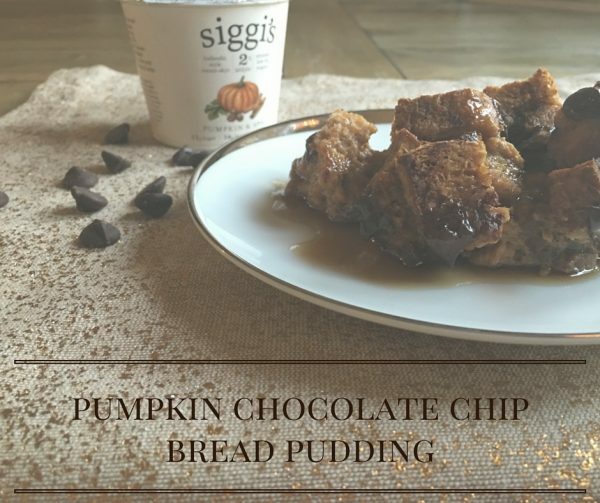 Disclaimer: By posting this recipe I am entering a recipe contest sponsored by siggi’s yogurt and am eligible to win prizes associated with the contest. I was not compensated for my time. More pumpkin? You know it! With Thanksgiving nearly upon us, the time is perfect for planning your holiday menu. siege’s is here to help! Siggi Hilmarsson came from Iceland here to the U.S. and recreated the yogurt of his childhood, skyr. Pronounced skeer, this strained yogurt has been a staple of the Icelandic diet for over a millennium. 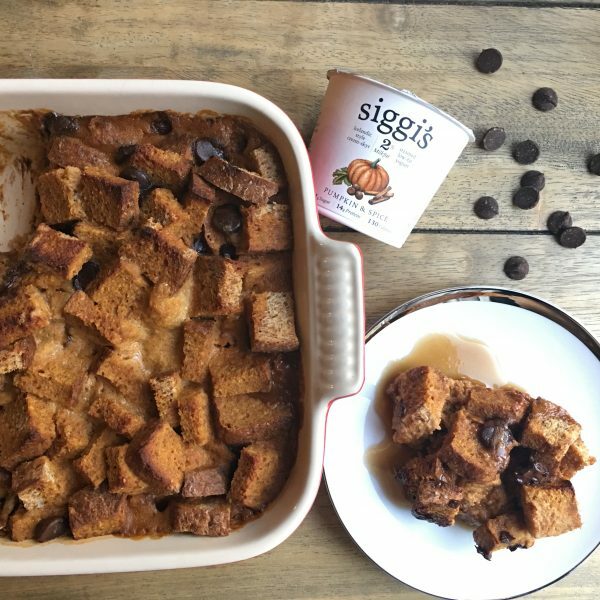 Since I’m a pumpkin fan and Thanksgiving demands pumpkin dessert, I bring you this bread pudding to complement (or even replace) pumpkin pie at your holiday table. I use sprouted whole grain bread because the sprouting process makes the grains easier to digest, increases the availability and absorption of nutrients, and lowers the glycemic index. 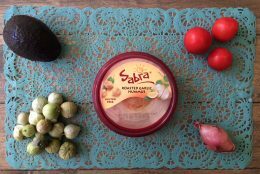 Sprouted grains, pumpkin, yogurt and healthy fats make this an excellent choice for a healthy AND delicious Thanksgiving dessert! Cut bread into 1″ cubes and spread out in a single layer on a sheet pan. Dry in the oven for 10-15 minutes. Allow to cool before placing in the baking dish. Sprinkle the chocolate chips over the cubed bread and set aside. Add the ground flaxseed to a small bowl and pour the hot water over it. Stir and allow to sit for 5 minutes or until it thickens. 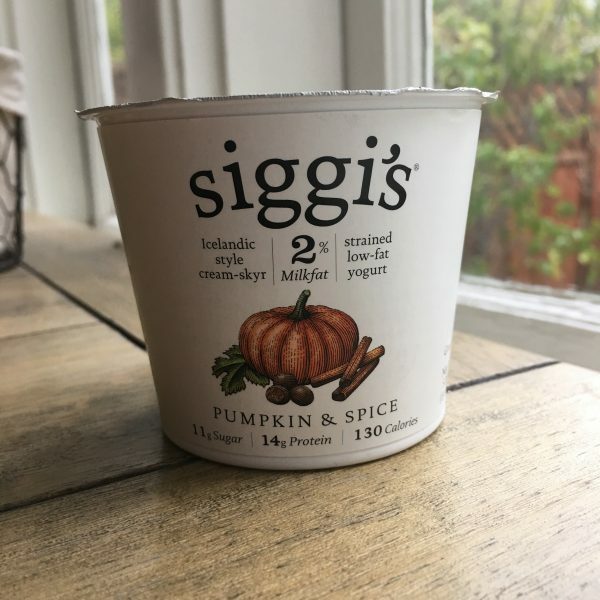 In a mixing bowl, combine the coconut milk, pumpkin, siggi’s yogurt, sugar, maple syrup, vanilla, pumpkin pie spice and salt. Whisk until smooth. Slowly pour the pumpkin mixture over the bread cubes. Place in the oven and bake for 25 minutes. Rotate the dish and bake for another 15-20 minutes. Allow to cool for at least 5 minutes before slicing. Drizzle with maple syrup and serve! The coconut milk can be either full fat or lite. I used full fat because it’s the holidays! 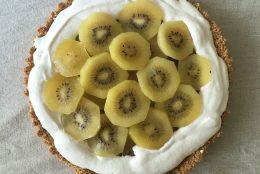 Looks amazing for #Thanksgiving dessert – or breakfast! 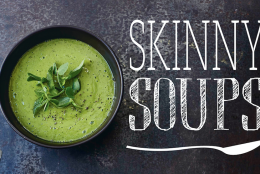 Just posted to our Recipe ReDux FB page!